The classic New York Bight Striper. 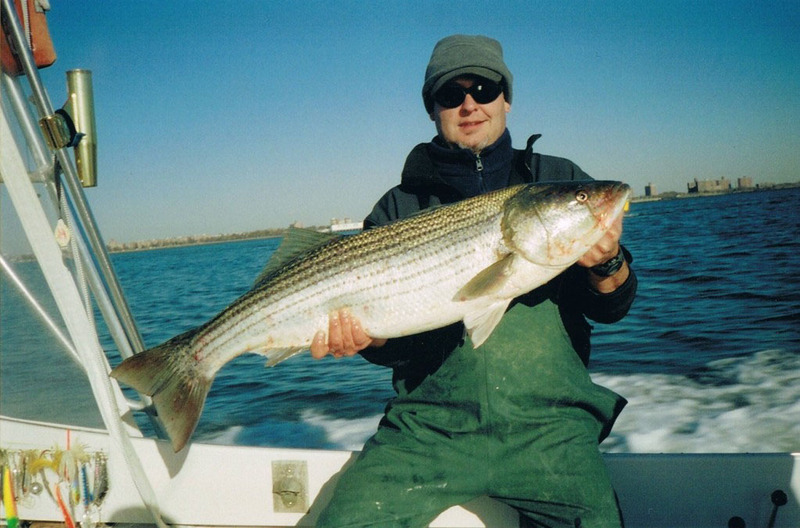 The Striped Bass can be found along the shoreline of any of the 5 Buroughs. Manhattan, during the migration, is surrounded by fish this size and bigger, which gives fisherman the chance to get one, in the middle of the Metropolis! So, if you’re interested in fishing for Largemouth in Central Park, or Stripers in the Heart of the Big Apple, visit my Pages, and contact The Fishing Sherpa! This entry was posted on Wednesday, March 11th, 2009 at 1:28 am	and is filed under Manhattan. You can follow any responses to this entry through the RSS 2.0 feed. I think I may have taken that picture!